We're anticipating the 240th anniversary of this historic event with plans for Mort's painting, Washington's Crossing. It will appear as part of the exhibit, Mort Künstler: The New Nation, at The Heckscher Museum of Art, Huntington, New York (opening December 10, 2016. ) We also have plans to release a new limited edition print of the painting later this year. 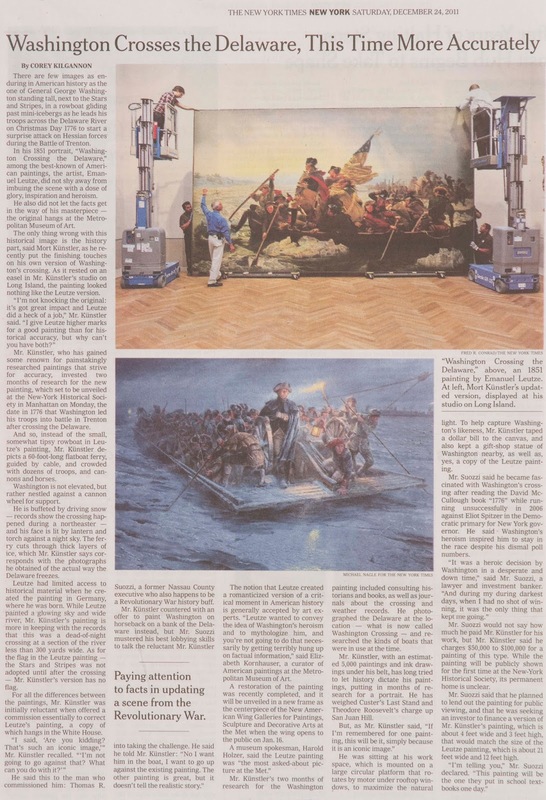 When Mort's Washington's Crossing was unveiled in 2011, this New York Times article began "a media firestorm."